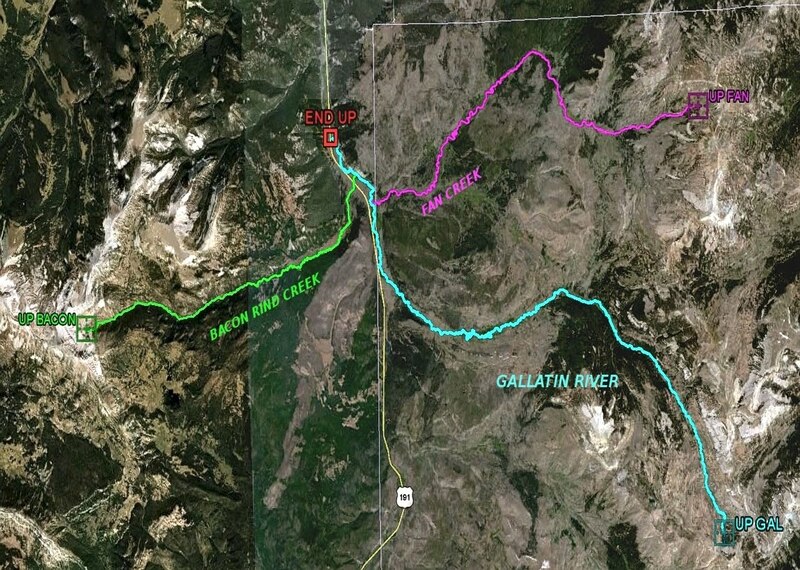 .. Just what is the Upper Gallatin River? .. Some would have it as everything above Taylor Fork. Some would have it as everything above Gallatin Gateway. Some would have it as everything above 4-Corners. 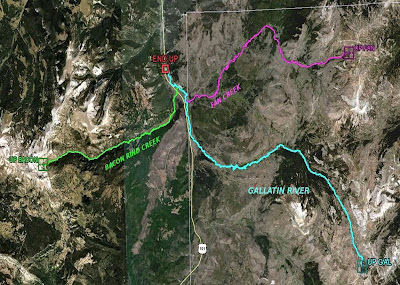 .. We tend to think of the Upper Gallatin River as that portion above the Highway 191 Bridge, (or thereabout,) in Yellowstone National Park. .. 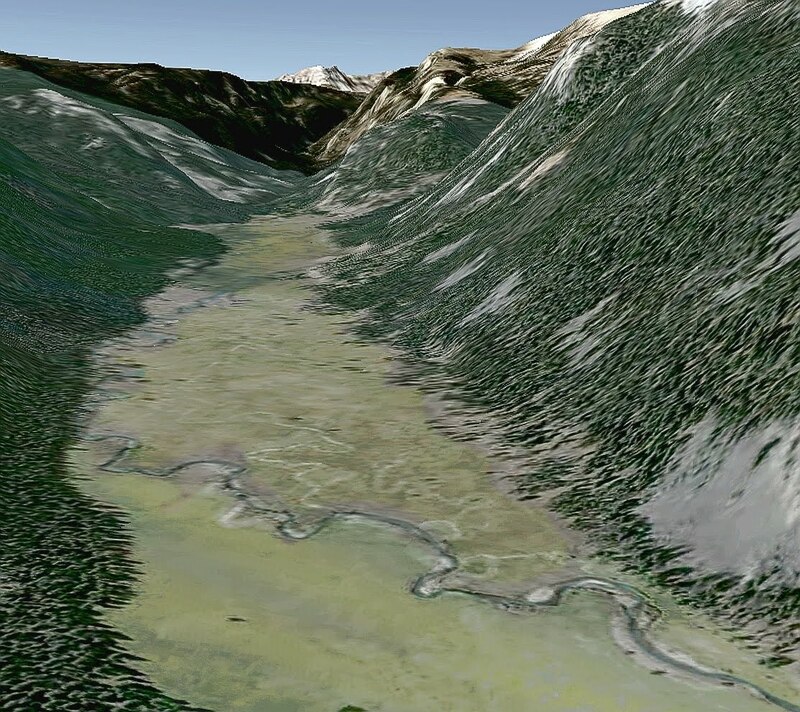 It's just a matter of perspective: not being fluvial geologists, we feel free to call 'em as we like 'em. .. 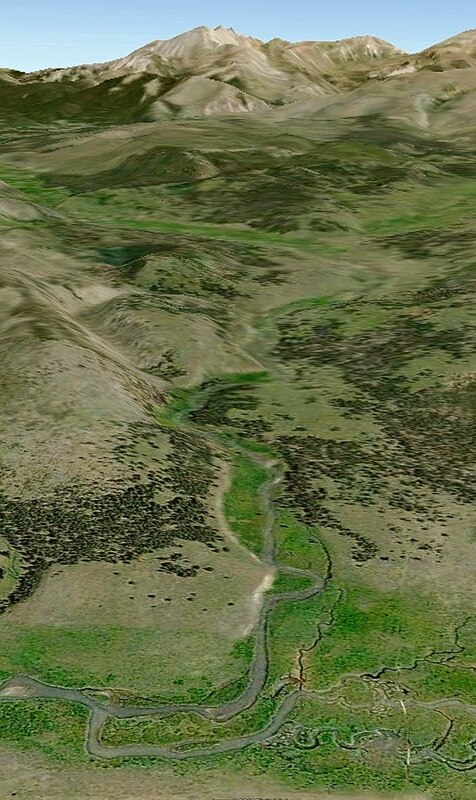 It's in the confluence meadows, just above the bridge, that Fan Creek, Bacon Rind Creek, and the Gallatin River join. .. It's here that the water is cold and crystal. It's here that the moose winter and the bears hibernate. 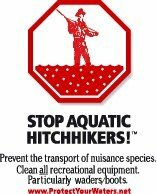 It's here that few visitors bother to fish. We like it all. .. The rivulets of the three creeks start above timberline and coalesce down-slope in a series of gradient changes that make for some wonderfully surprising meadows and equally surprising fishing opportunities. .. For us, some of the meadows haven't been seen in over 40 years. But, with the aid of Google Earth and old photographs, we can revisit the cherished memories. And of course plan where to visit on those days that the legs are up to it. .. 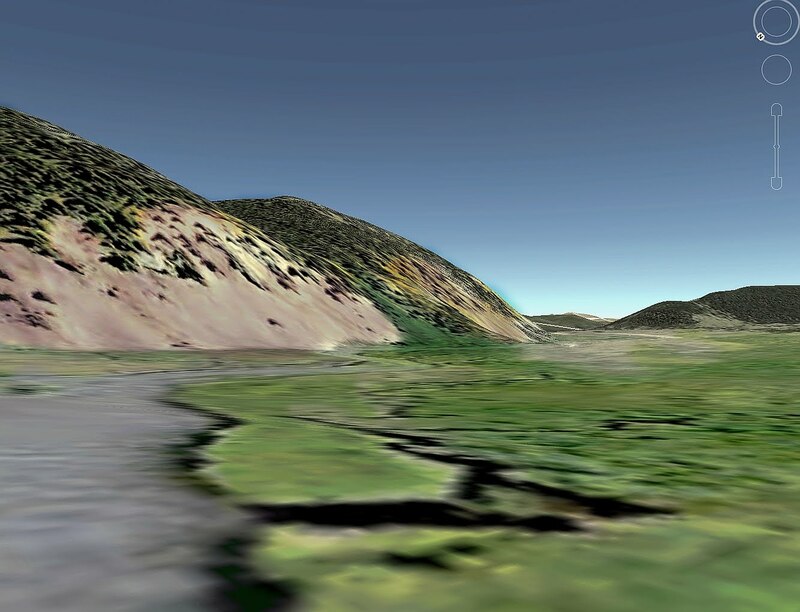 The fidelity of the images, generated by Google Earth, to the ground truth is astonishing for such a wonderfully free product. .. Given this fidelity, and a U.S.G.S. topographic map it is possible to explore and anticipate your next escape. .. Brownliners and blueliners already know this. We are just now discovering how useful it is. 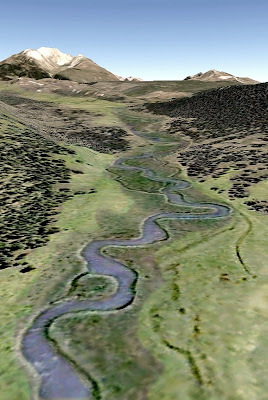 .. Our current silliness involves updating our Yellowstone Fishing Maps on Google Maps. It's a wonderful tonic for insomnia. .. As part of this project we started taking some more pictures of the various locales. So, a kindly neighbor suggested, (expletive deleted,) that all that pointing and shooting was unnecessarily burdensome and tedious. .. 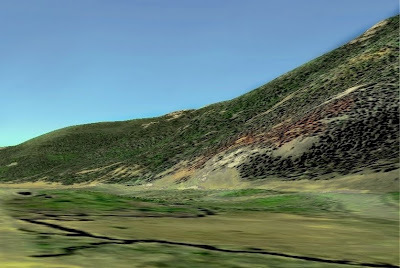 He suggested that the Google Earth renditions would be more than adequate - and perhaps preferable because visitors could just go to the coordinates in the Google programs and discover the area for themselves. Why didn't we think of that? .. There will still be photos from our trusty point & shoot, after all we do need to check and see if the rivers are still there. .. 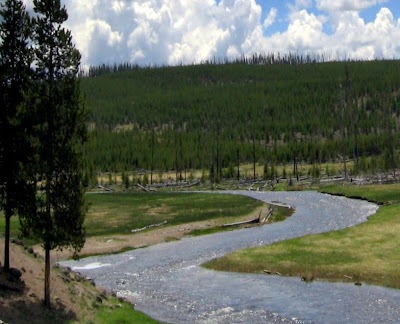 The first river being mapped and plotted with juicy fishing locales is the Gallatin River in Yellowstone National Park. .. The interesting thing about the imagery of the Google programs is that it can be severely out of date. ..The examples shown in this post have imagery from as far back as the 80's. The landforms are recognizable and can be duplicated with a photograph. .. The river courses, (dynamic beasts,) are in some instances quite different. Happily, The major river segments have maintained their character over the decades. .. So from time to time we'll be posting some images from the mapping project. .. Naturally, it'll go slowly when there's catching to be had. It should progress more rapidly this winter. .. The Gallatin River has come into it's own. It continues to warm and the fisher folk are doing less dredging and a bit more floating with their bits of fluff. .. Your favorite attractor will do for surface fare. 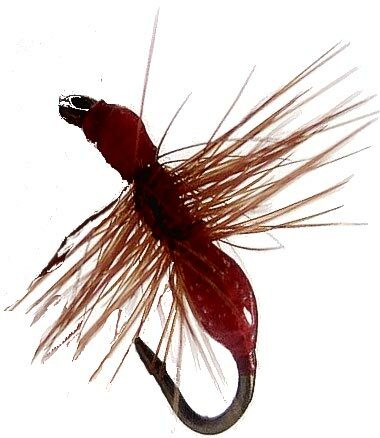 .. We like Royal Coachman and Adams, sizes can go to 8 or 10 for now. Even the little fishes will attack a high floating fly of whatever ilk - for the moment. .. 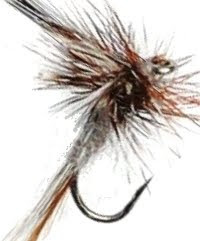 Fish the deep slow pools and undercuts in the morning with a Soft Hackle or small Woolly Worm. 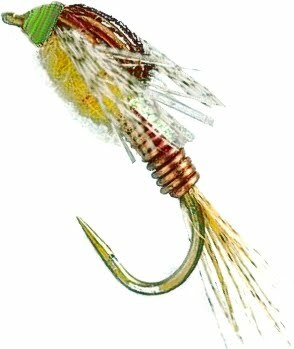 .. Use a nymph; Bead Head Caddis, (or Prince,) during mid day in the riffles & at the heads of pools or the seams in bends. .. As the shadows from the mountains creep over the river go up to the top and pound some noses. .. He spends more than 200 days per year on the water. Over the past 11 years, (with the old boat;) that translates into about 2,200 days rowing. OR: 4,400 times on & off the trailer. OR: . . . etc. and that's a bunch of whatever! .. The old boat, a good friend and tool, had withstood rivers throughout the West. It endured and excelled. . . From the gnarly boulders of the Box Canyon on the Henry's Fork of the Snake River, to the soft pillows & swells, low bridges, and tricky currents of the Madison River, to the big and not so gentle tail-water of the Green River; the old boat had endured. .. It was time! Time for a new office. Time for a new tool. Time for a new friend. .. 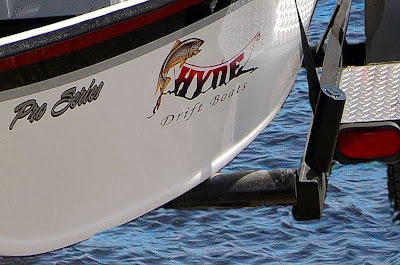 These drift boats have a long and storied history, (dating back to the sea dories and McKenzie & Rogue River Boats -- with some attendant controversy as to origin as well.) 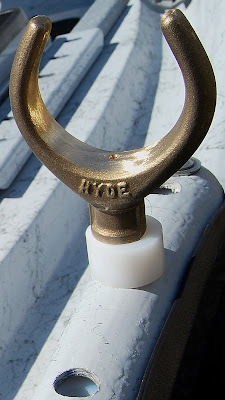 They are a very good tool for getting fishers to the fish on big water. .. Drift boats have to perform a myriad of tasks - and they must be rugged, nimble, and riverworthy. They become friends. The good ones become good friends. .. 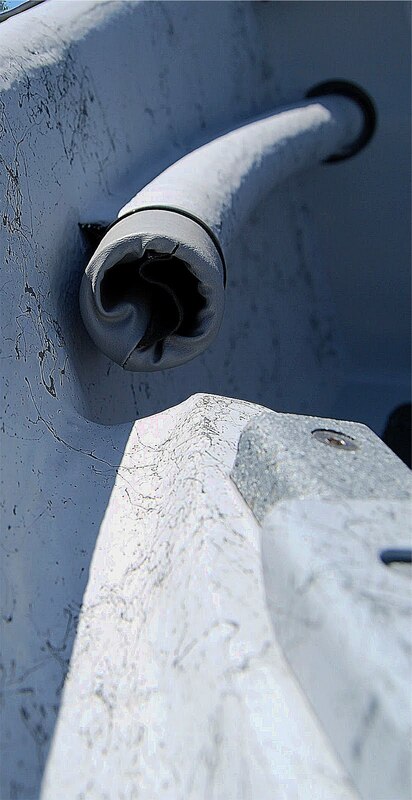 Whether wood, aluminum, or fiberglass, they must do their job and get out of the way of the fisher. They should become a part of the background as the fisher stalks her prey. .. 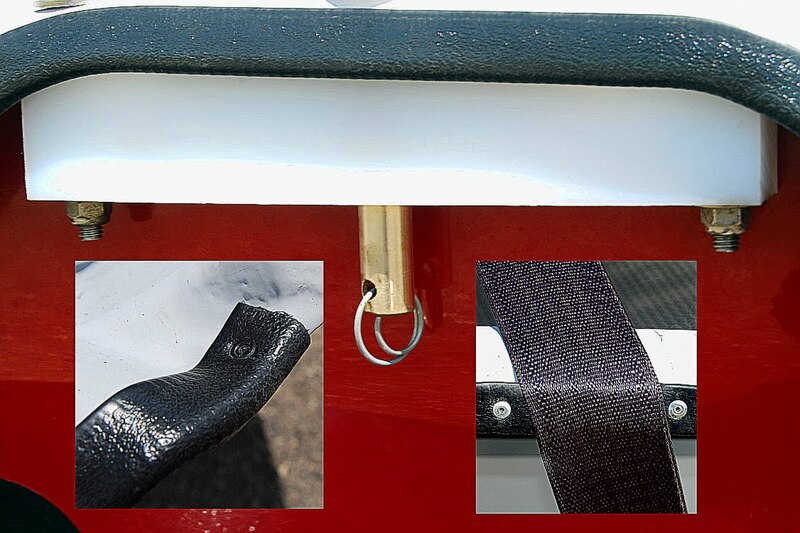 Attention to design and detail allow the good boat to augment the task of fishing. The guide will get you there - a good boat will disappear in the process. .. 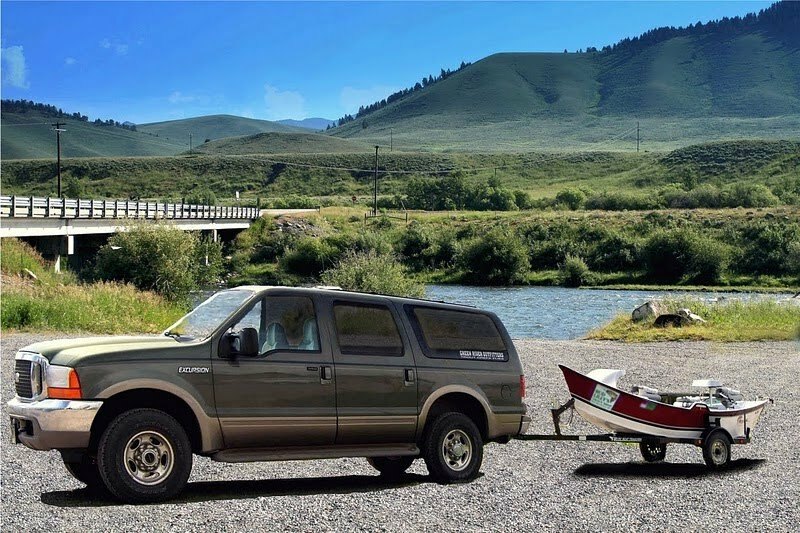 When booking a guide, few fishers ask "what boat do you have?" They assume, (rightly so,) that the guide has made the correct choice. .. A secure platform for casting and fighting, a svelte shape for maneuvering, a stable ride from hide to hold, and river-worthy for all possible weather and river conditions: these are assumed and taken for granted. .. 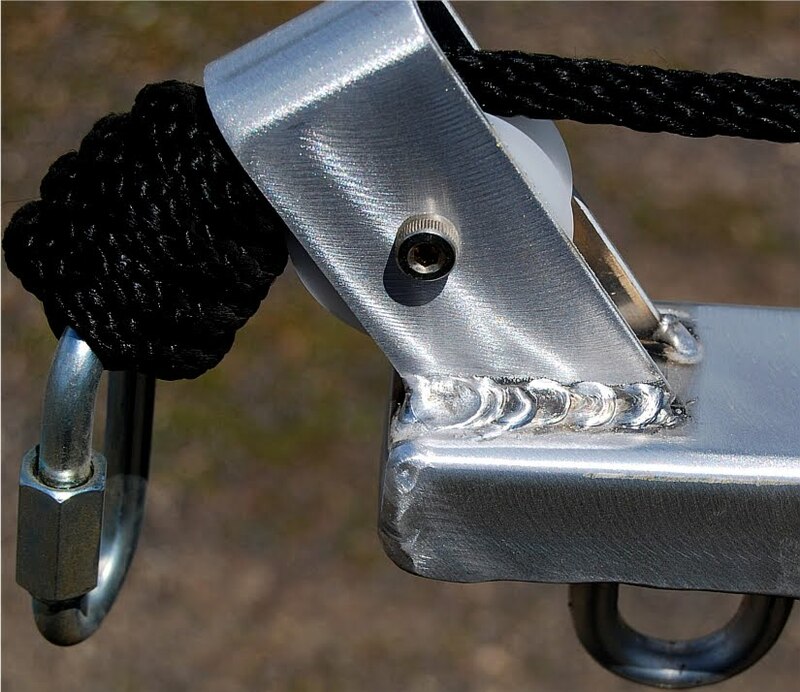 Outfitting a boat is a very personal endeavor. Details like secure/readily-accessible/convenient storage for the guide and guest are assumed by the visitor; but planned by the host. .. Positioning and adjusting of oar locks and chair must fit the captain and the situation. 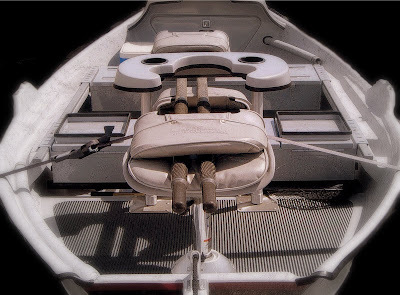 Casting pulpits, passenger chairs, and rod storage need be attended to. 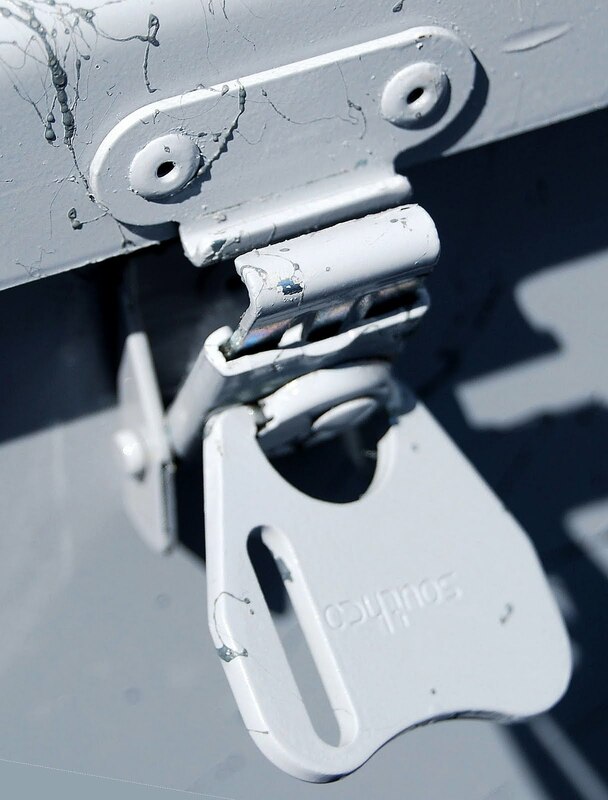 .. Boat designers and builders take care of some of these details, your guide will polish and refine them for their particular waters and customer's needs. .. Details like padded rod holders for safe and secure storage of priceless sticks are a nice touch. 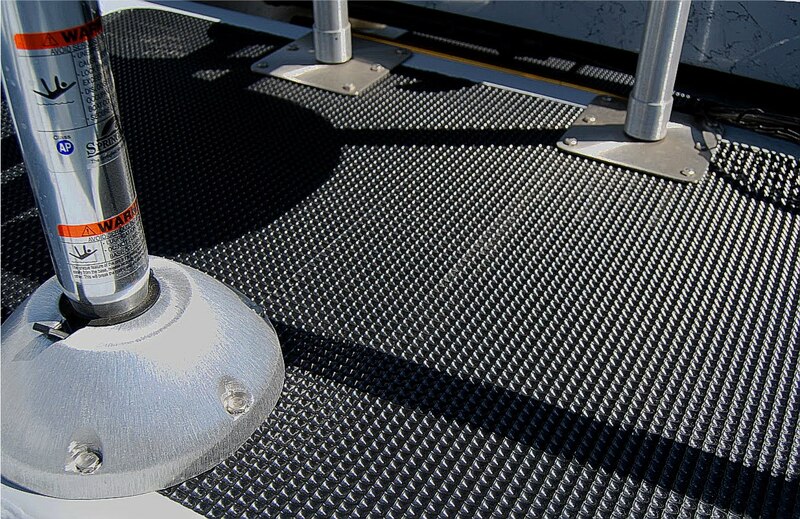 .. Sure grip carpet and flooring is often added so there are no slippery surprises. .. There is very little frosting on these substantial and sturdy tools. Not much is needed. .. A day on the river is not a pleasure cruise. 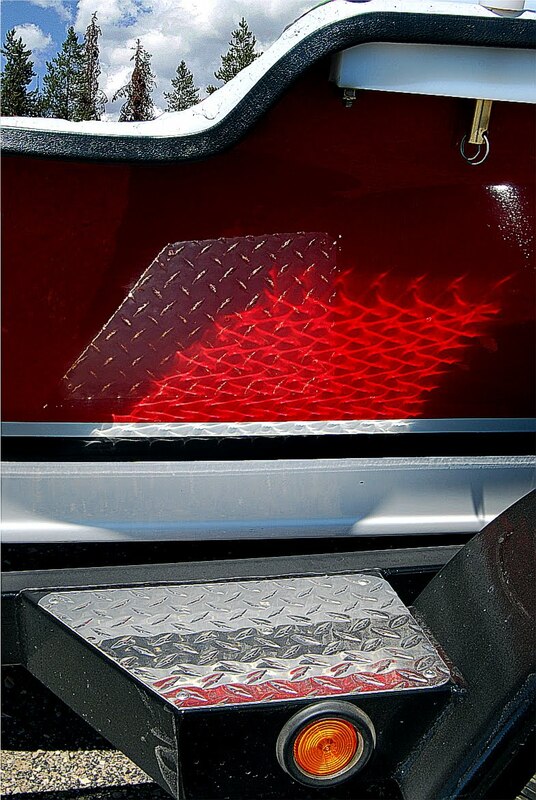 It will, however, be comfortable, rewarding, and enjoyable if the details are taken care of. That's the job of your guide. .. Next time out, notice; and enjoy, the convenience of a well detailed and outfitted boat. Ask about the boat, notice the particulars, and -- by the way, "STAY IN THE MIDDLE OF THE BOAT." .. The drift boat is an American original. Over 75 years of intense innovation, customization, and refinement is built into these nimble craft. .. 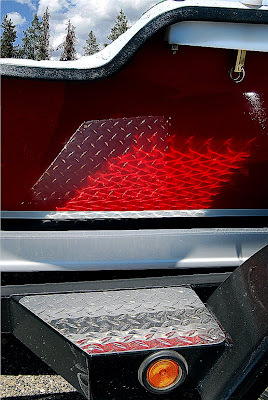 They are variable in their details and execution. They are "fit" to the waters that they ply. They reflect the personality of their rivers and captains. .. And, the more beautiful the boat, the less it is noticed. Like all good tools, they work, and work well. .. The latter will accommodate a wide and varied series of situations and make the client comfortable with the river and the fishing. .. On the trailer, off the trailer, bump the rocks, run the riffles, gallop the rapids, hold position, beach to fight a monster, --- this side, that side, slow for a difficult cast, steer to hides for client casting ability, --- into the wind, with the wind, -- driftwood, drifting logs, floating trees, sweepers, and a thousand other things happen in a day. The construction must be able to withstand it all. .. We get in a drift boat three or four times per season. We prefer the hidden places of dinky streams and twinkling fish. .. We have, though, been spoiled when we do visit the big waters. We ride with the neighbors. .. The neighbors boats are all different. They are all perfect. They disappear about the time we leave shore and only reappear when it's time for lunch or a bit of refreshment. .. Our neighborhood is a "tough market." 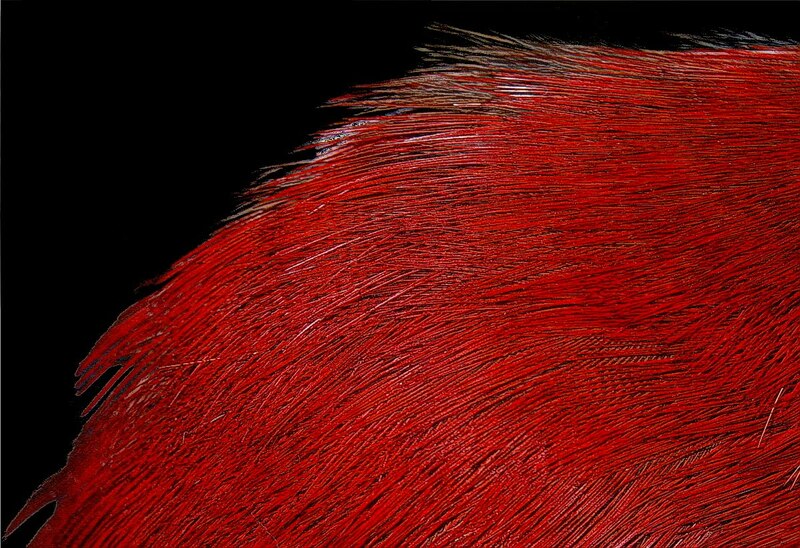 Our rivers draw fishers of all skill levels and from all corners of the globe. 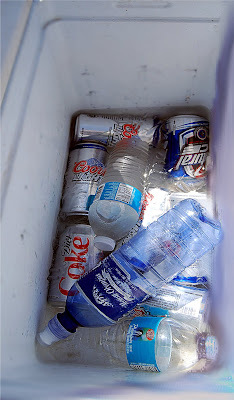 Our guides can't afford the luxury of not being prepared. They can't afford a boat that is just adequate. 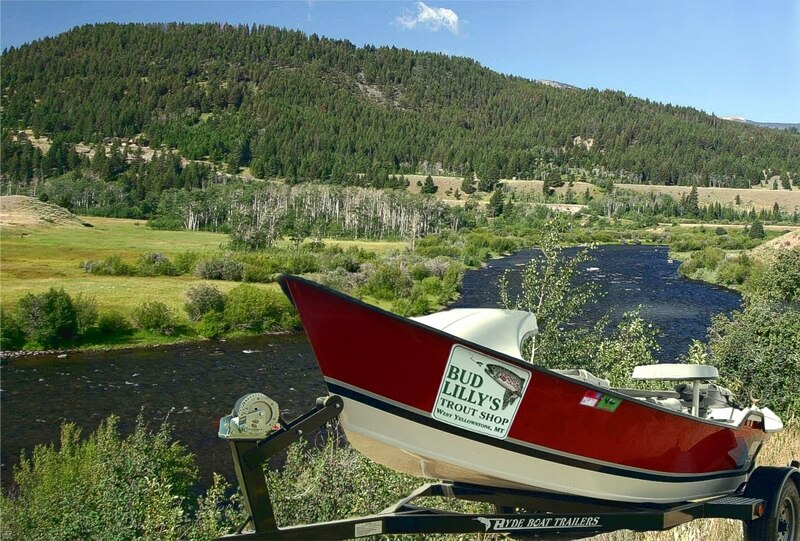 They have fish to catch, rivers to run, and clients to please. Yes, we've been spoiled: we love it. .. The guide boats that fish our neighborhood waters are exemplary. From the South Fork of the Snake River, to the Henry's Fork, to the Madison River, Gallatin River, Yellowstone River, and beyond; you'll be able to tell a professionals boat - you just won't know it's there. .. Our seasons are not constrained by our calendar. We can have snow any day of the year. Thunderstorms can zap the power any night this time of year. But the fish know what's happening. .. 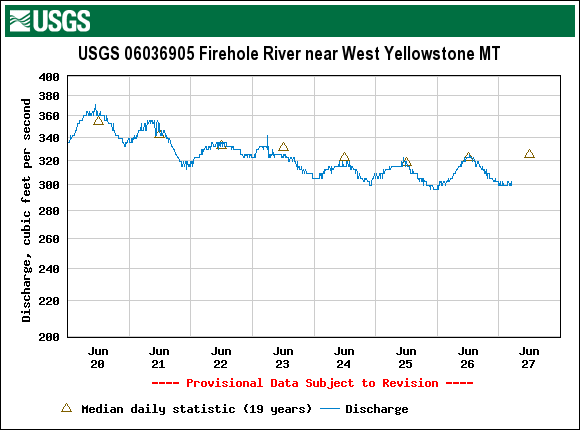 When the Firehole River spikes to near 80° F it's summer. 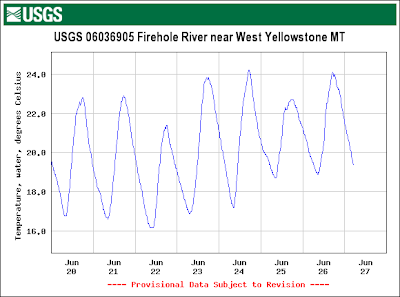 Early morning and evening fishing on the Firehole River is still productive, (for another week or 10 days,) but please be prepared to stalk your fish and get off the water by 11:00 AM. 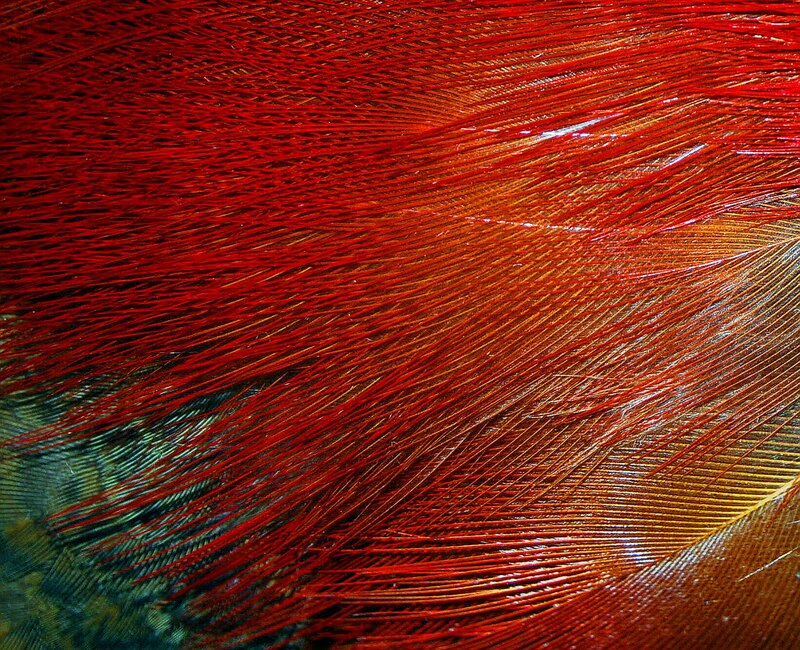 The fish have enough of a job just surviving. 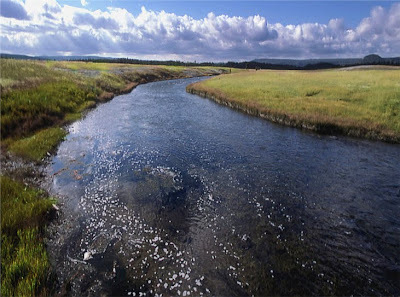 .. Cooler water near tributaries, highly oxygenated riffles, and undercut banks will be the place for successful fishers to look. .. Early morning PMD's are still around but sparse. 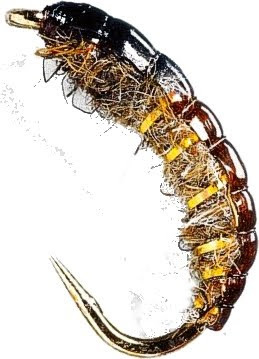 The caddis have exploded and will provide good evening fare. .. Right now the prime west-side fishery in Yellowstone National Park is the Madison River. It's really come into shape over the weekend and will offer opportunities for all styles of fishing. .. There may be a lone late blooming salmonfly seen on Tuesday or Wednesday, but they are done. 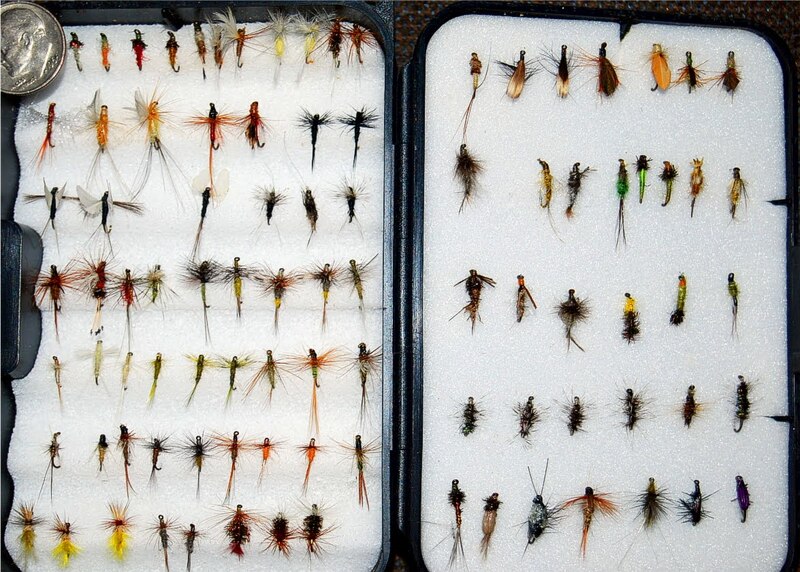 Not to fret - there's some yellow ones and a squadron of caddis appears every day. 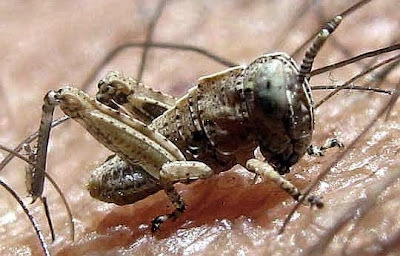 .. By the way, some of the little hopper nymphs are, already, in their second molt. .. 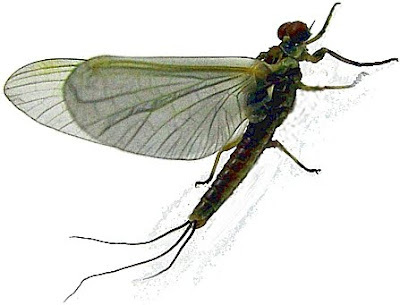 These infants can fall in the river and prospecting near the banks with a small, (size 8 or 10,) bug may surprise you. .. Boulder hides, slick seams, and sweepers are places where the water allows the fish a good sight picture. .. Ah, the Gallatin River. Such a beauty. Boulders, deep crystal pools, pods of fish in plain sight, riffles with dark slicks, undercut banks, and good access greet the visitor here. .. The area around the northern park line has seen some stoneflies. .. Nymphs, (Prince, Feather Duster, Hare's Ear,) are a better bet though. .. 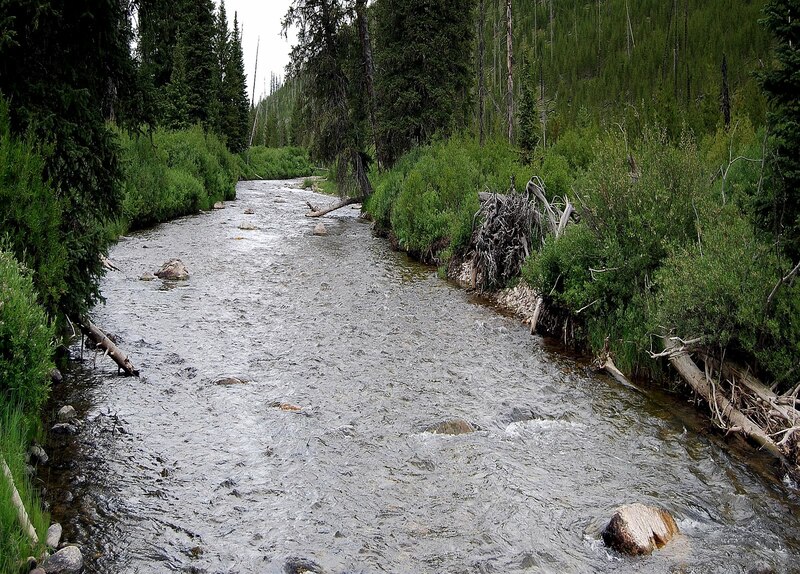 It's not too early to try the bits of Fan Creek in the confluence meadow. 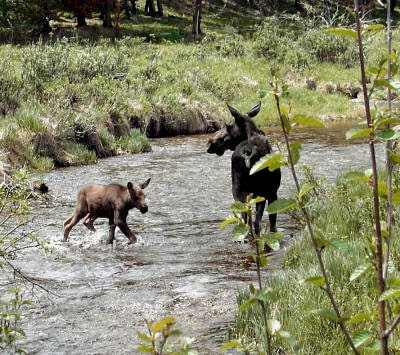 The wolves are around, a moose lives there, and a small black bear has been seen near the beaver pond. .. Anything on the surface or sunken that is a size 10 or smaller will grab a fish - right now. .. Way upstream, past the Bighorn Trailhead, there are fish working the riffles. 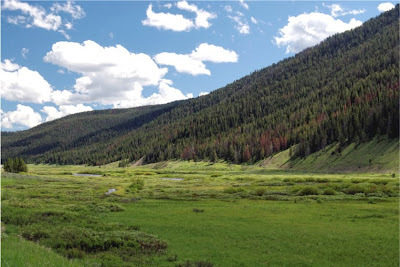 Soft Hackles and Ants will bring dance partners bigger than the stream suggests in this area. The walk is usually worth it. .. It happens every year and we're always surprised by the rapidity with which spring leaves and summer begins. It's about to happen again. .. 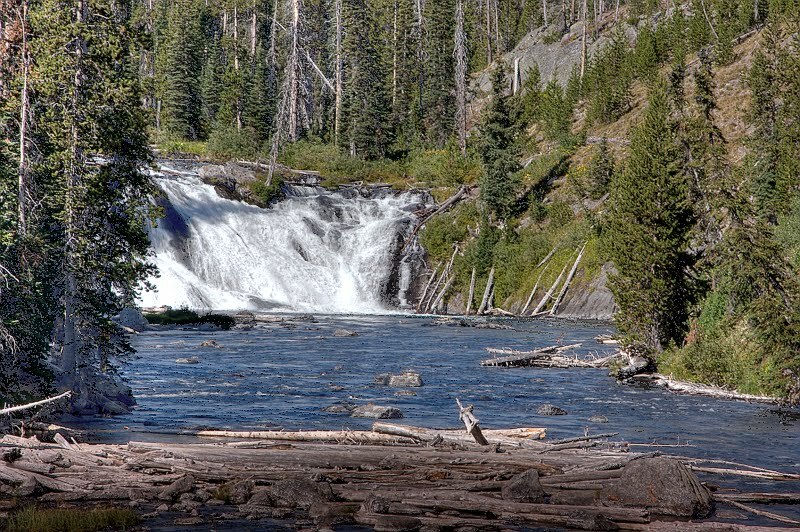 The legendary catching on the Firehole River is at or near it's early season peak. .. 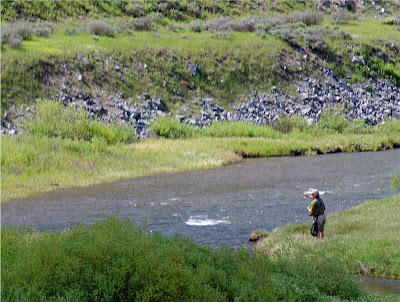 Fewer fish but better catching will last for a few more weeks on Nez Perce Creek. 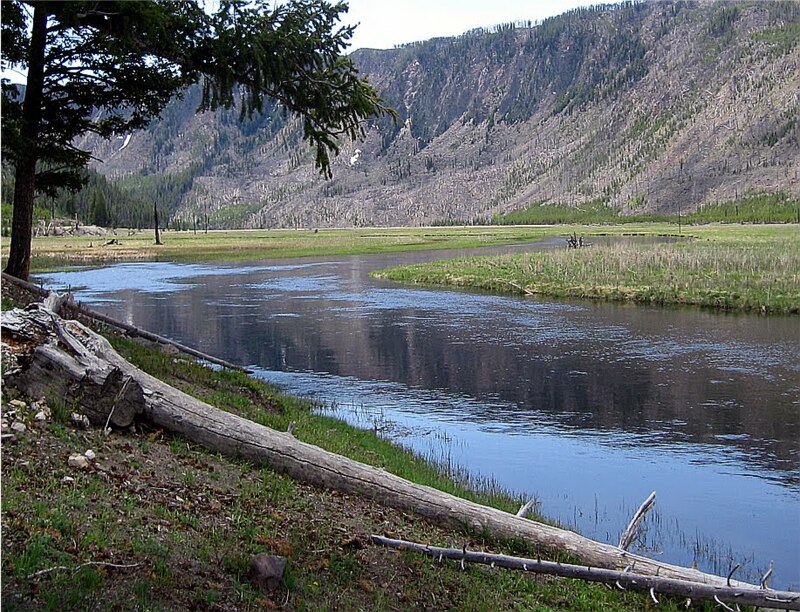 .. Fisher folk have already started their migration up the Little Firehole River and on to Iron Spring Creek. 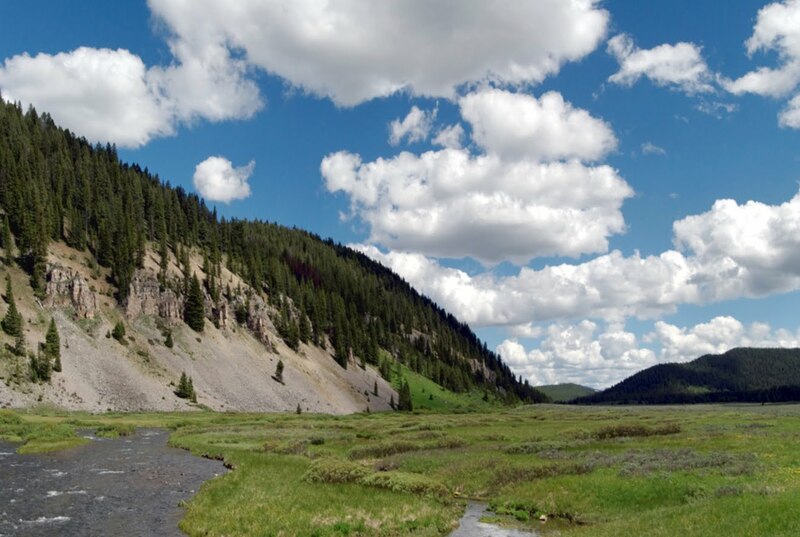 .. A few fishers have retreated as far upstream as the water by the Lone Star Geyser Trail. This upstream Firehole River should provide exceptional entertainment with dancing and leaping Brook Trout for another 5 weeks or so. .. Even as the spectacular catching recedes into memory, there is still a few, (maybe four,) weeks of very good catching to be had. 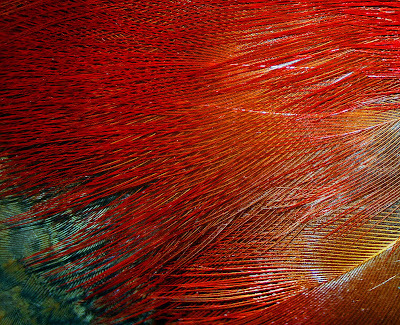 The shift from PMD's on the surface to soft hackles is already underway. 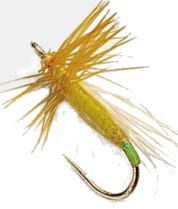 Mid day and evening caddis, (depending on cloud cover and thundershowers,) will continue past the time when the river becomes too warm for responsible catching. 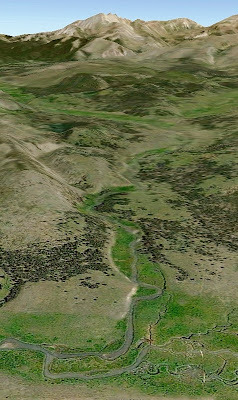 .. As we write this the Madison River is coming into great shape. 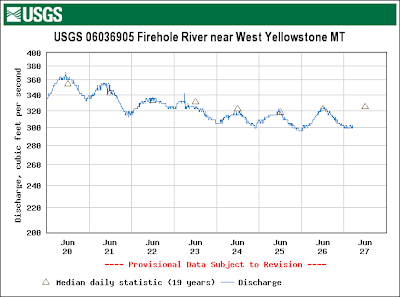 Flows are still about 150 cfs below the seasonal mean rate. .. The water is clear; plenty, (but not too,) cold, and the fish are frisky. .. The surface fisher is treated to a surprisingly consistent morning and late afternoon array of flies. 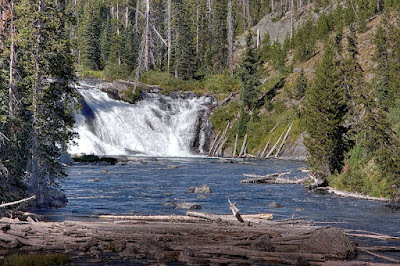 .. PMD spinner falls are available from sunup 'til 8:00 or 9:00 AM. .. Hatches, (depending on location,) run from 9:30 - about 1:00. .. Caddis are nearly omnipresent, and nymphs and emergers are working all day. .. The Gibbon River is still on the ascendancy, though the canyon fish have been visited frequently - despite the construction and road closure. The big meadows are just as tough as ever but there are a few early afternoon hatches. This is still a bank-fishers proposition. Pick a nose and gently cast to it. A couple of refusals will clue you in to the efficacy of your fly or presentation. .. Large Soft Hackles, a dark olive Casual Dress, or a black Woolly Worm in the dark undercuts may be the best tactic for another 5 or 6 days. .. From Norris Campground up to the cascades is a bit of beautiful "small water." .. Done correctly, there are more fish to catch here than most places. Stealth, guile, and gentility will bring the little darlings to net. .. Solfaterra Creek is getting a heavy pounding and the fish are becoming pretty tight-lipped around the campground. 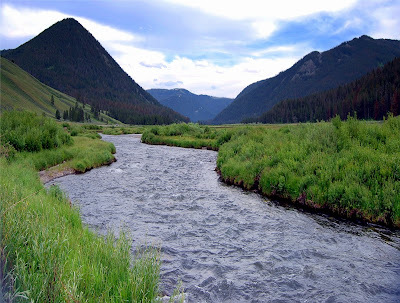 .. A short walk upstream will provide far fewer elbows and more willing trout. There's been a moose hanging around so be careful. Her baby is cute - she is dangerous. .. A couple of sleepers that will soon appear in reports and blogs are the Gallatin River and Grayling Creek. .. 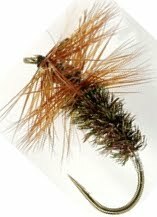 Right now is the time for Grayling Creek. Very soon this water will be a bit too low and a bit to busy. The prime catching is now. 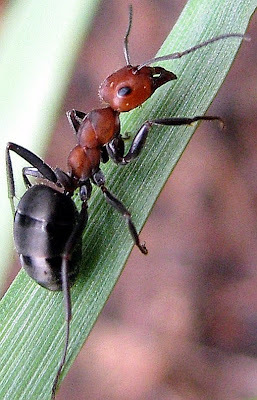 .. Soft Hackles and Ants will do the job. 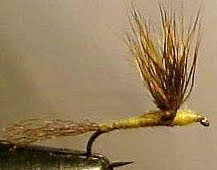 If you want some surprises try an olive Woolly Bugger, (size 10-12,) in the undercut banks. 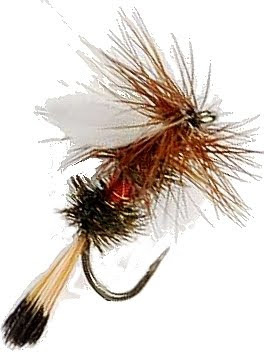 Dance partners of better than decent size will reward the fisher that knows how to quickly finger-strip this fly. .. 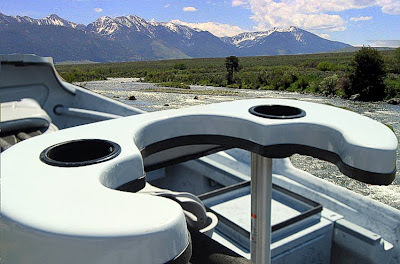 The Gallatin River has finally settled down and is providing good catching. .. The willows around the Fan Creek confluence still have some very large fish, (to 16",) and the pressure is just now beginning to pick up. up, UP & AWAAAY !